If you think that sugar is only useful when it comes to baking and cooking, then think again! 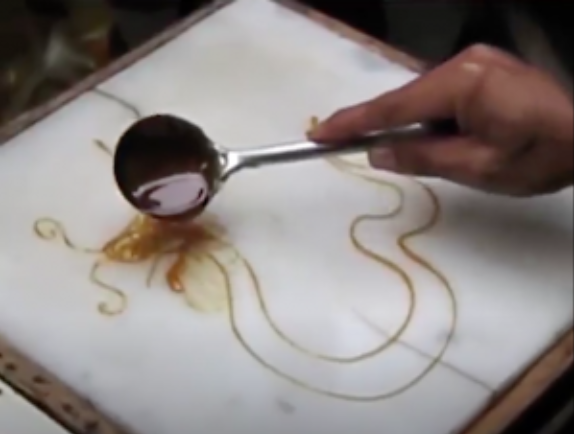 Even though it used mainly in foods, sugar can also be used to produce arts. 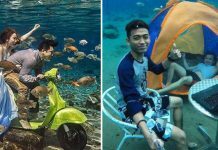 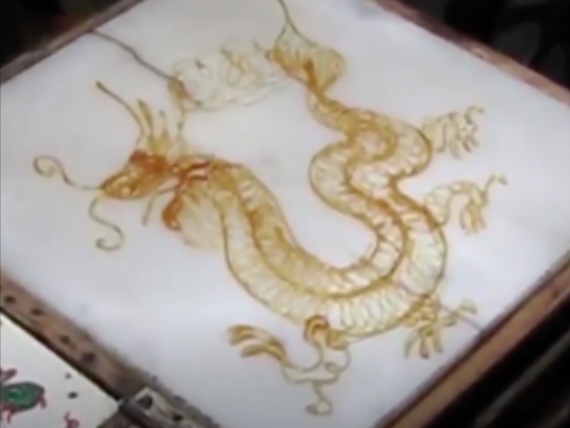 Like its name, sugar painting is an art that uses sugar that turns melted sugar into creative shapes like dragons, bicycles and even dragonflies. 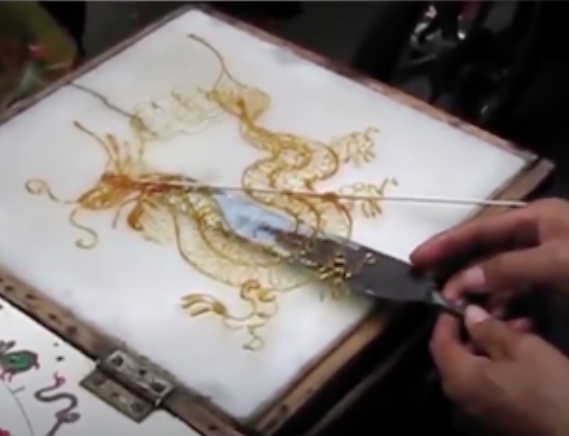 This form of art is a traditional handicraft prevailing in Northern China. 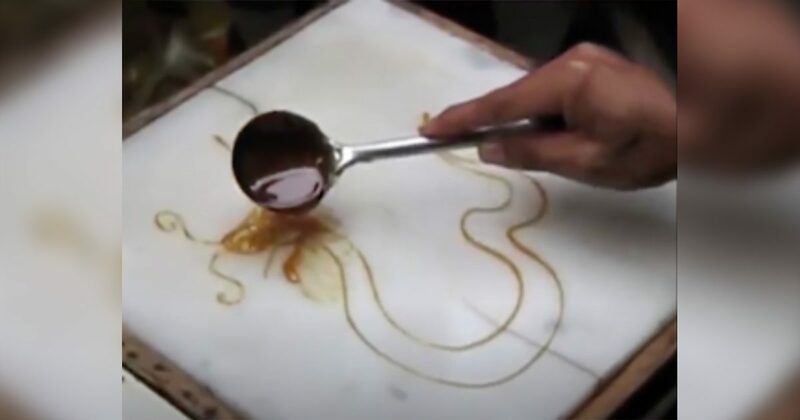 Next, the artist will scoop up the sugar painting and it is done!